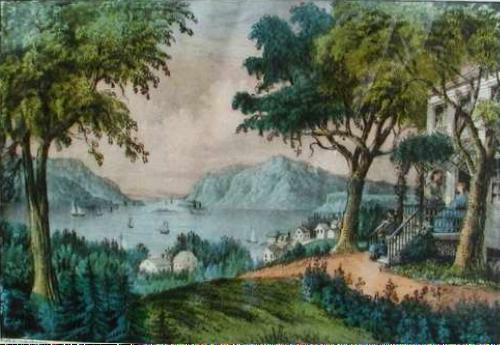 "View on Hudson River from Ruggle's House, Newburgh"
Welcome to the NY Hudson River Valley mailing list! This is a discussion area for anyone who has an interest in the Genealogy or History related to counties bordering the Hudson River (Rockland, Orange, Ulster, Greene, Albany, Rensselaer, Columbia, Dutchess, Putnam and Westchester) and Schenectady. Please keep your welcoming message you receive when you subscribe to the list. I recommend that you keep a copy on file in your computer as well as a printed paper copy that you can find easily. Please note: This list is set up so that all replies automatically go back to the list. This is done because much of the information posted in replies to queries is also helpful to others on the list. If you wish to reply privately to someone, just copy and paste that persons address in the "To:" section of the message composition. 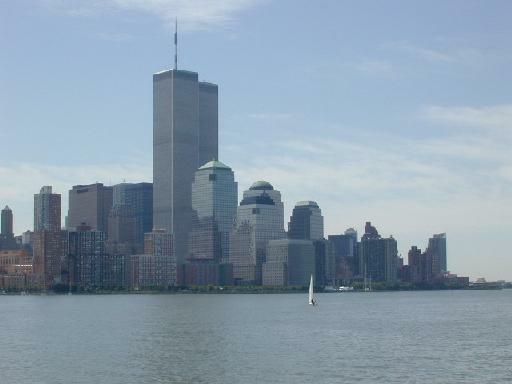 This list is for the discussion of the Genealogy, Culture and History of the Hudson River Valley area of NY. Discussion of migration patterns, immigration, heraldry, historical sketches, settlements, census data, wills, family Bibles, vital records, web sites, etc. is encouraged. Do not post test messages, chain letters, political announcements or views, current events, items for sale, personal messages, etc. If you receive a virus message from the computer of someone on the list, do NOT post their name and address to the list. Inform me and I'll unsub them and assist them to get the help they need to clean their computer. All virus warnings must be approved by the listowner before posting to the list. If you are on digest form of subscription, never quote the whole digest! Also remember to change the subject to reflect what email you are replying to. Sending a list of the Surnames you are searching is okay but please try to limit them to one or two names. Any more than that and many people just won't read them. Do not put "roll call" as a subject line. Put your surname in the subject line. It is also helpful to list the time frame. Do not send subscription/unsubscription commands to the list! It won't work and you will not be unsubscribed. They must be sent to the above addresses. You can use CAPS or lowercase, it doesn't matter. All information need not be accompanied by source citations, but it is recommended that posts either include sources or a note stating that they are available on request. If information is speculation then label it as such until it is proven or commonly accepted as fact. When posting your query try to give as much information as you know, i.e. dates and places of all vital events if known, along with enough other family members so that the reader can positively identify if they are researching the same family. "Anyone out there researching SMITHs?" is too broad and most likely won't get you any results. When posting your query it is helpful to make the message as readable as possible. One paragraph, a page long, full of names and dates, is too difficult to decipher and most people won't bother to take the time to do so. Don't write your entire message in capital letters. It is very difficult to read and is also considered "shouting." When replying to the list (this also can apply to private replies) try to quote some portions of the previous message so that other readers are reminded what the "thread" is about. Make it clear what is quoted material and what you are adding. Most mail readers take care of this for you by inserting greater-than signs ">" at the beginning of each quoted line or possibly double brackets "<<" before and ">>" after the quoted piece. Please don't include the whole message, just the relevant parts that you are replying to. Please send all replies to the list, not just to the original poster. Other members may benefit from the data that you provide. Please do not hesitate to contact me at any time with questions, suggestions or problems you may have regarding the list. originally in East Camp, which was then in Albany County and is now in Columbia County. You will find many other Palatine surnames in the tree and many folks who lived all over the Hudson river valley area. Suggest that you look at the Early Maps on the Dutch Door website, in particular the one titled "Early Precincts...etc." Yes, Orange County does extend to the Hudson River, and always has. Rockland County was separated from Orange County in 1798.
for Newberry several days ago on this site. My work is mostly the Beekman Patent area but I have files on almost every surname in 18th century lower Dutchess County. See my web site for names I am working on. A mailing list for the discussion and sharing of information regarding the genealogy, history, and migration patterns of the areas in New York and Vermont that surround Lake George and Lake Champlain, you can subscribe to the list on this site, at the bottom. Historical sketches, biographical notices, and thrilling border incidents and adventures relating to those portions of the counties of Orange, Ulster and Sullivan lying in the Shawangunk region.